In eight of Armenia’s 50 urban communities, 13,500 stray dogs were put down between 2015-2017. Hetq sent questionnaires to the mayors of 28 urban communities, asking them how much they spent from 2015-2017 to either destroy stray dogs or to control their numbers. We asked what methods were used and how many dogs were neutered. The main control method, it appears, continues to be to kill them. Hetq received answers from 21 municipalities. The picture is indeed frightful. What follows is a cross section of how some communities are dealing with, and spending on, the stray dog problem. The method to control the stray dog population in the Shirak community of Akhouryan is to simply destroy the animals. Akhouryan is not the only example. Stray dogs in Akhouryan are shot. The town yearly spends AMD 295,000 to do so. No sterilization program was carried out between 2015-2017. Shooting stray dogs is also the preferred control method in Gyumri, the capital city of Shirak Province. The town spent AMD 11.775 million and killed 5,885 dogs between 2015-2017. Here too, no sterilization program took place. The response we received from Vanadzor, the capital of Lori Province, was strikingly descriptive regarding how stray dogs are dealt with. “Stray dogs are neutralized via a night hunt. They’re transferred to the Arjout garbage dump and buried,” reads the Vanadzor Municipality’s response. 6,282 dogs were destroyed in Vanadzor between 2015-2017, at a cost of AMD 12.535 million. Night hunts are also the preferred control method in Kapan, the Syunik provincial capital. No other control methods have been employed to date. According to the Kapan Municipality, some dogs are also captured and let loose outside the town, in a forested area. In the three-year period, Kapan spent AMD 498,000 yearly on stray dog control. In the Lori town of Spitak, the municipality planned to spend AMD 780,000 to deal with stray dogs (culling and other control methods). That amount proved insufficient. Surprisingly, the municipality, in its response, says that there are no local companies/organizations to provide such services. The municipality of Sisian, a town in Syunik, says it has periodically conducted programs to control the stray dog population. This was mainly done by culling the packs of stray dogs. Contracts were signed with members of the Hunters and Fishers Coalition of Armenia to hunt the dogs. The Sisian Apartment Utility Board was also contracted to supervise the burial of the dogs and to inform residents of upcoming control measures by posting announcements in the Sisian Municipality’s website. In 2015, the Sisian Municipality spent 314,874 drams to put down 119 dogs (2,646 drams per dog). In 2016, it spent 497,448 drams to destroy 188 dogs (2,636 per dog). In 2017, it spent 370,000 to destroy 148 dogs (2,500 drams per dog). The Goris Municipality responded that it spent some 500,000 drams to “neutralize the threat” of stray dogs between 2015-2018. 350 dogs were put down in this period. The municipality argues that it doesn’t have the finances and technical capabilities to sterilize stray dogs. Abovyan, a town in Kotayk Province, has no program to control its stray dog problem. The British-based Pro Paws Charity, which operates to relieve the suffering of street dogs in need of care and attention, and to prevent cruelty to dogs in Armenia, proposed a number of legislative changes to the Armenian government several months ago. Nareh Aramyan, who heads the Pro Paws branch in Armenia, told Hetq that the changes were well received but nothing can be expected until after the December 9 snap parliamentary election. The organization is pushing for a stray control project of trap/neuter/release (TNR). Aramyan says that the newly-elected Yerevan Municipality has decided to create a non-profit organization that will be responsible to sterilize stray dogs in the Armenian capital. In the past, that job had been contracted out to a company called Unigraf-X. 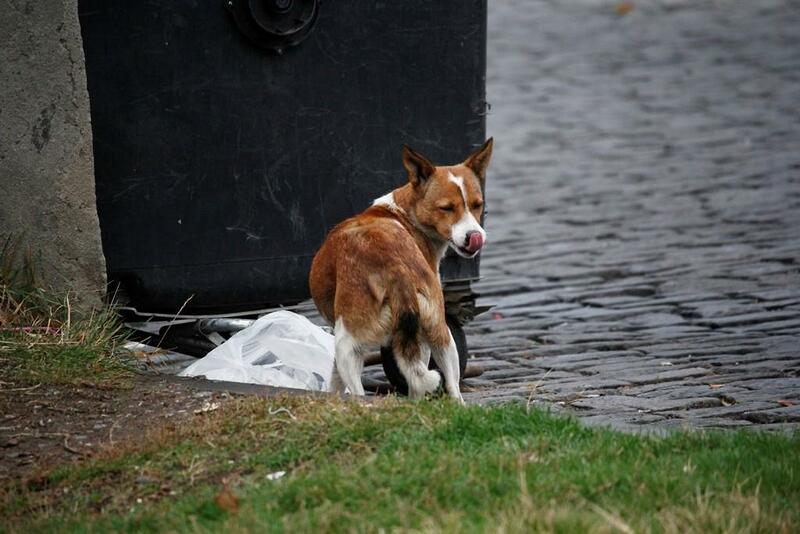 Unigraf-X first won the municipality contract to address the stray dog problem in 2009. It was the only company to tender a bid. On January 8 of this year, Unigraf-X won a AMD 114.227 million ($235,000) contract to address Yerevan’s ongoing stray dog problem. Activists in some Armenian towns have called on their local governments to invest in sterilization programs as a replacement for outright killing.